Birthdays are great. The friends, family, and food are marvelous as another marker is placed on the road to wisdom and understanding; the destination we seek and hope to recognize upon arrival. Of course, the fewer candles on the cake increase the chances of bouncy castles and donkey-pinning and the normally banned junk-food. Your birthday is always special. What’s not to love about fireworks, music, and a day off in the middle of summer? For some reason we attach special significance to anniversaries ending in fives and zeroes so your biggest birthday bash was in 1967. The Centennial parks, fountains, buildings, and bridges from coast to coast are testament to your 100th birthday having been celebrated everywhere. The biggest bash was in Montreal. Expo ’67 invited the world and the world came. Magnificent national pavilions wove facts and myths in what other countries chose to display of themselves and how we cheered ourselves. Your most powerful myth is your birthday itself. You became an independent state on July 1, 1867. But your independence was an act of the British parliament. Britain still controlled your constitution. A British committee could over rule your Supreme Court. A British company controlled what is now northern Ontario, Quebec, Manitoba, and the North West Territories. Britain still negotiated and co-signed treaties and trade deals. So you were independent but only like a teenager who moves out but only as far as Mom’s basement. It all changed when a European family spat led cousins with big navies and bigger egos and more pride than brains to trip the world into war. We called it the Great War because not until the next phase in what became a decades long European civil war would we begin to number them. Britain was in and all we could yell up the stairs was “Ready Aye Ready”. Boys who had never traveled more than fifty miles from home were stirred by a pull of patriotism, a yearning for adventure, and the hope that girls really do love a man in uniform. They were soon on trains to Val Cartier, Quebec, and then aboard crowded ships to Britain and then, the front. They had no idea what they were in for. Picture digging a hole in your yard and living there for a year. Eat there, sleep there, and relieve yourself there, day after day and season after season. Watch for rats the size of spaniels, killing coughs, lice, maggot-infested food, and after standing for days in the open sewer, toes fall away when sodden boots were finally removed. It was a war against conditions and, too often, stupid officers more than the enemy. After years of using Canadians as shock-troop cannon fodder, our four divisions were joined and told to capture a ridge that the French and British had found impossible to take. We dug and planned. We ignored the British way and told every man his job. And men the boys had indeed become. Many still bore pimples but too much boredom punctuated by terror and too many trips on leave for bad booze and horizontal recreation made them older than their ages; older than anyone deserved to be. 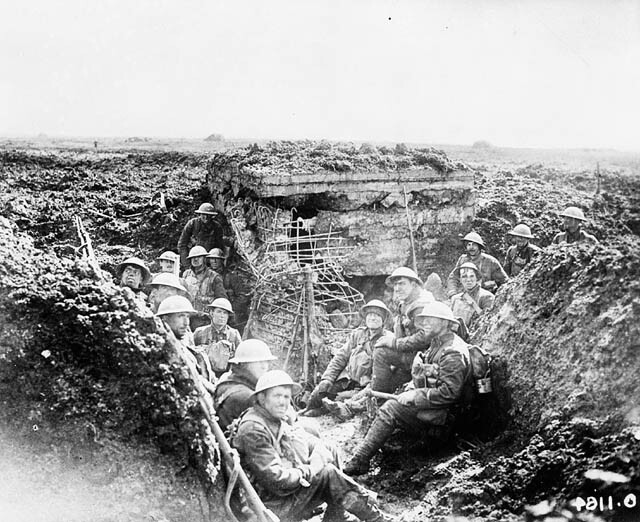 On Easter Sunday, a barrage that shook the earth and shattered the sky announced the attack and the Canadians soon had Vimy Ridge..
Back home, for the first time, we had not an allied, not even a British, but a Canadian victory. For the first time, Canadians considered themselves Canadians. When the war finally ended, Britain said it would take care of the peace. With a pat on the head we were to go back downstairs and wait quietly. No. Too many of our children, sent to kill their children, had died. Too many were home but broken. We had earned a place at the grown-up’s table. It took a while but we increasingly considered ourselves Canadian and one but one by one the vestiges of colonialism fell away, forgotten like other childish things. So while a person’s birthday is easy to peg, a country’s is more a decision than fact. Perhaps, Canada, your birthday is really April 12, 1917; the day we made it to the top of that damned hill. But is it better to plant our patriotism at a Charlottetown conference table, in the British House of Commons, or on a blood-spattered Belgian ridge? Or is according too much significance to the tragic blunder of a crazy war affording too much recognition to the boneheads who started it, the profiteers who exploited it, and mankind’s predilection to slaughter rather than build? Perhaps it’s better to stick with July 1, 1867. I guess, like Jimmy Stewart was told in The Man Who Shot Liberty Valance, when facts get in the way of the legend, print the legend. So this July, let’s enjoy the day off and with the sun’s surrender, let’s ooh and ahh at the fireworks. But this year, with these thoughts in mind, let’s offer ourselves a dare. 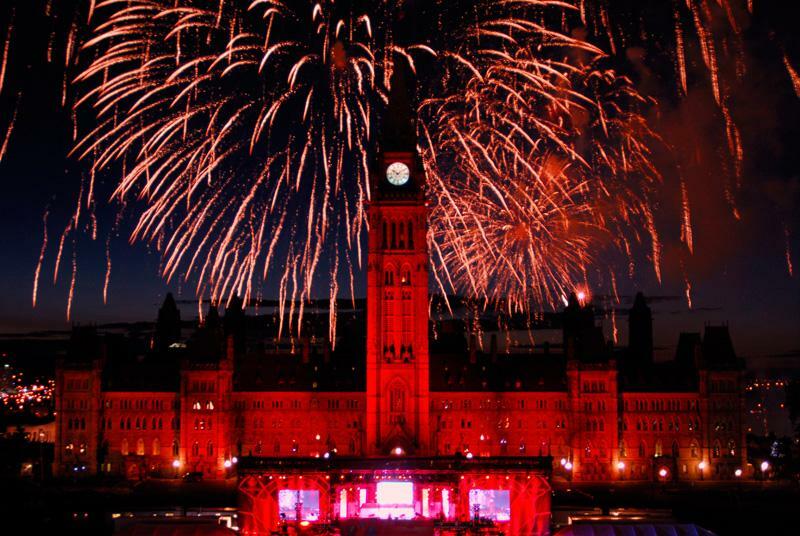 Let’s see if any of us now can watch the colourful explosions over the park or lake and not think of the sky over Vimy. This is a few days late to stick with my Monday posting schedule but hopefully still invites consideration. If you enjoyed it, please send it along to others through Facebook or your social media of choice. Read your blog and liked it. Although you are using a nation’s birthday to bemoan the concept of war being wrong, it does make a person think. Your nation’s birth and growth are in reality not that much different than others except your defining war came later in your nation’s life than sooner in a war for liberation like many nations undergo. Excellent point and I agree. Thank you. the story goes that in 1615 Samuel deChamplain PADDLED THROUGH these waters. In fact, I am sure he was paddled by his First Nations hosts. I wish we knew the names of the Hosts. Champlain wrote that there is no way he could have done anything that he did without the Native peoples that led him on his journey.